To govern the back and forth movement of the wipers, a neat linkage is made to convert the rotational output into the motion. For the back and forth movement to happen, the wiper requires tremendous force. The force actually allows the force to move wipers across quickly, on the windshield. To generate such a force, a worm gear is used. It is placed on the small electric motor’s output. The worm gear reduction helps to increase the efficiency of the torque of the wiping motor, almost 50 times more. But this will slow the output speed of the motor by 50 times as well. The output of the worm gear reduction handles the linkage that assists the movement. An electric circuit present inside the motor assembly can sense the wiper blades when they are in off or down mode. The circuit helps to maintain the power, till the time you actually shut your wipers off, and the wipers are stationed at the idle position, in the bottom. This is possible as, after the use, the circuit cuts the power to the motor. It is also responsible for parking the wiper between the wipes when working on an intermittent setting. The neat linkage helps to transmit and generate power to the wiper blade of the passenger side. The smooth working of the linkage will help you understand more on it. Firstly, a short cam is attached to the gear reduction’s output shaft. As the wiper motor turns, so does the short cam. The short cam is also linked with a long rod. So the spinning of the cam helps in the movement of the rod in a back and forth motion. The short rod motivates the wiper blade of the driver’ side, thus providing both the blades to move together. Another long rod then moves the wiper blade on the passenger side. But in the end, everything falls down to the wiper motor and the circuit. 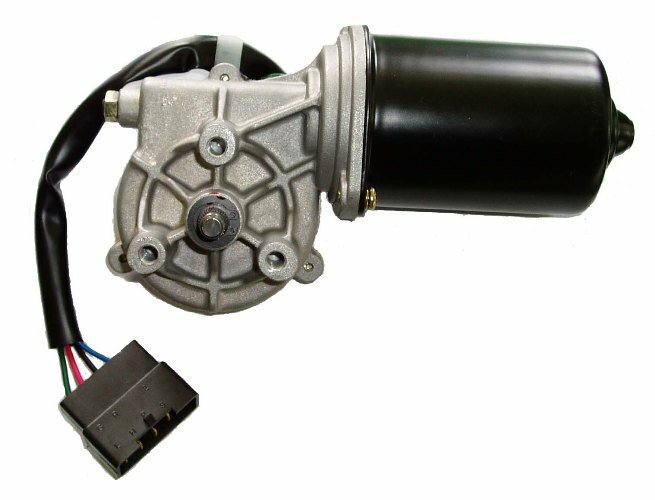 Why Choose Lucas TVS’s Wiper Motor? Krishna Auto Electric is a prominent name among the distributors of premium quality automobile or automotive spare parts. We offer a plethora of products from LUCAS TVS that are the most widely used automobile spare parts in the several brands for cars. Check out our range of Lucas TVS automotive spare parts and contact now for an instant quote!